Congratulations to the kids who participated in the Summer Reading Program. They earned a quarter for each week that they made their Summer Reading goal, and had the choice of keeping the quarter or donating it to one of four local causes. We are very proud of our thoughtful and hard working young patrons! Earth Heroes, a natural encounters live animal outreach program will kick-off our summer reading program at RMMS on June 16th at 6:30 pm! This program is through the Squam Lakes Science Center and highlights animals native to New Hampshire. Admission is free, and you can sign up for the summer reading program at the event. THURSDAY, JUNE 25th 5:00pm in the library. 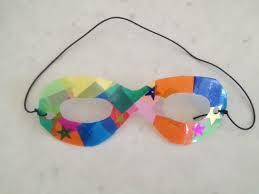 Superhero Crafting and Games Session-start the summer with a cape, a mask, and adventure! Make your own superhero costume, enjoy a super photo op, play heroic games, and start the summer program with a blast! All ages welcome, registration required. THURSDAY, JULY 2nd 5:00pm in the library. Kristine Brock "Paint Along" - Local artist Kristine Brock leads children in creating their paintings using acrylics, canvass and a lot of talent! Be sure to wear painting-safe clothing. Ages 8 and up, registration required. THURSDAY, JULY 9th 5:30pm in the library parking lot. Meet Your Hometown Heroes-meet and greet policemen, firemen, and E.M.T. 's from Brookline and check out the cool vehicles they use. Cookies and beverages provided. Super Science Night- a soda geyser and outdoor science experiments all at your local library! Movie Night showing "Big Hero 6" with free popcorn. All ages (movie is rated PG) and sign up is required. Change to the Children's Summer Reading Program! Movie Night showing "Incredibles" with free popcorn. Ice Cream Social Raffle and Prizes-same as last year, a celebration of the summer reading program, raffle, prizes, AND ice cream sundaes-what is not to like?!? Special Event- Thursday, August 13, 8 pm at the Brookline Ballfield: View the Peak of the Perseid Meteor Shower and learn to use the Library telescope! Join Guest Speaker Tim Segear of The New Hampshire Astronomical Society for a night of viewing the peak of the Perseid meteor shower and learn how to use the Library telescope. We recommend bringing bug spray, a flashlight and a blanket. Weather and cloud cover permitting. All ages welcome, sign up in the Library.